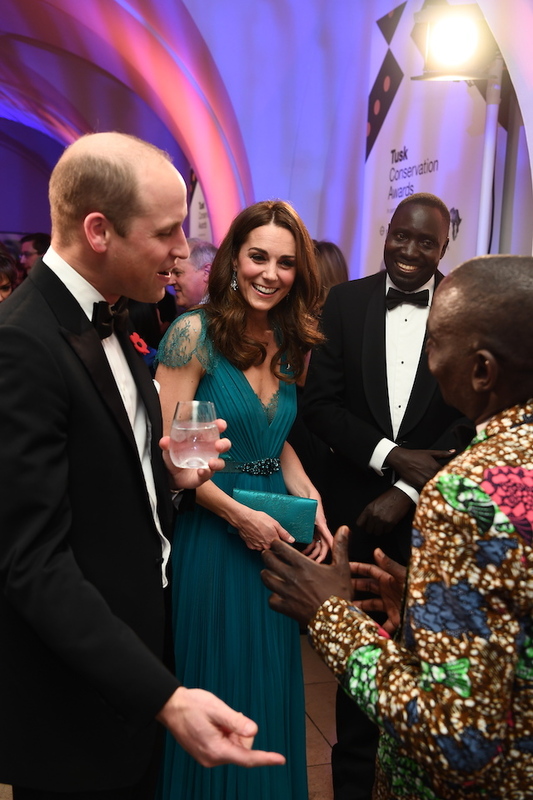 Kate Middleton turned heads Thursday night in a gorgeous teal lace gown at The Tusk Conservation Awards at Banqueting House in London, England. She completed the great look with loose hair, a matching teal sequined belt, clutch and silver high heels. 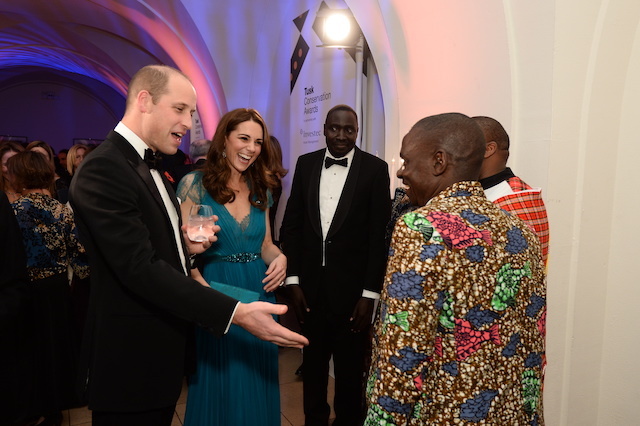 Judging by the pictures, it looks as though a good time was had by everyone who attended the royal affair. 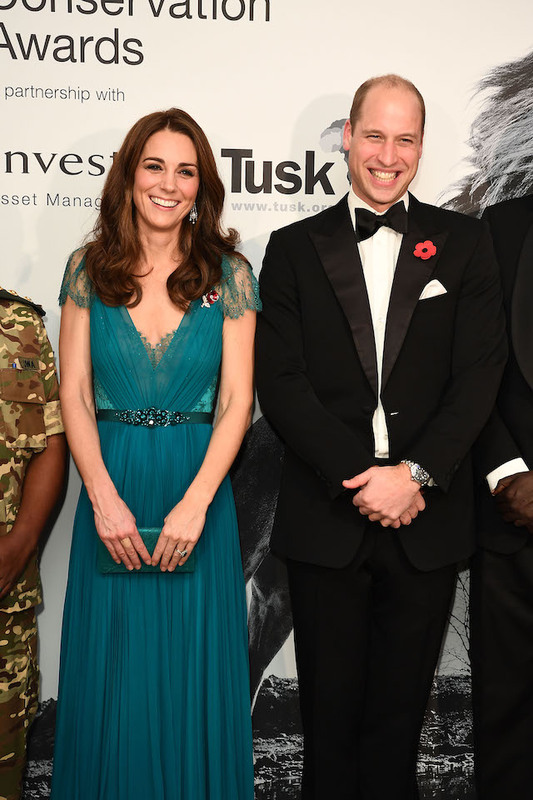 Middleton has been busy lately, making quite a few public appearances, and at each step has looked incredible as she always shines no matter what the occasion.